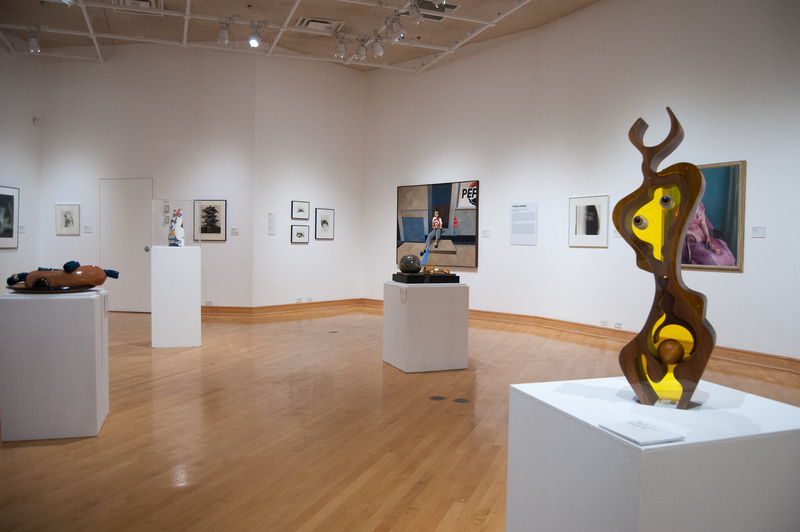 Students at Indiana State University have helped ring in the state of Indiana's 200th birthday this past year by curating an artwork exhibition of the state's artists from the university's Permanent Art Collection. Made possible through a grant from the Indiana Arts Commission, the project includes selected works, from ceramics to photography and paintings and highlights the state's rich history of the arts. 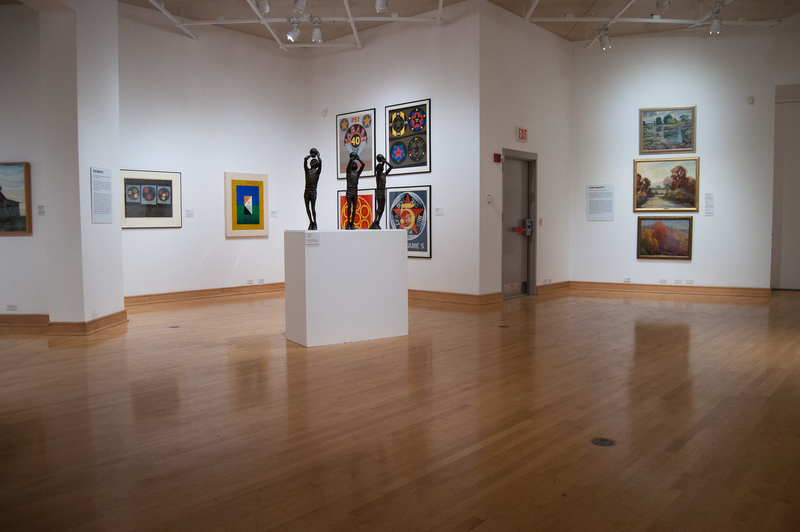 Over the past year, students in State's department of art and design's curatorial studies program have been studying the history of artists and art movements in Indiana. Along with the bicentennial celebrations taking place across the state, these students have curated an exhibition of more than 50 pieces of Indiana-created artwork from the university's prestigious Permanent Art Collection. "In this project, however, we ceded complete control to students, breaking down the distinction between classroom and gallery and empowering students to evaluate for themselves what work their peers should see," said Meredith Lynn, the University Gallery director. When deciding how to set up the exhibit the students selected five words that they felt defined the "Hoosier experience," including celebrate, community, challenge, continuity and curiosity, a play on the letter C that was no coincidence, as "CC" is 200 in Roman numerals. The students then arranged the pieces in the exhibit based on themes and motifs they found in each piece. Student Tashiyana Myers chose the painting, "Man Child and the Promised Land" by Phillip Mason of Vigo County for the exhibit. Before being chosen for the Bicentennial celebration, this painting had been hanging in the Charles E. Brown African American Cultural Center. "This painting was displayed at the Whitney Museum of American Art in a controversial exhibition titled ‘Contemporary Black Artists in America' in the spring of 1971. The formation of this show was the result of a protest conducted by African Americans in the fall of 1968 after the Whitney held an exhibition of nearly 80 artists but did not include a single artist of color," Myers said about the piece. From paintings to sculptures, the mixed-media exhibition is rich in Indiana history and culture with pieces from the 1850s to present. While most of the exhibition is in the art gallery, it also highlights several of the sculptures on campus as part of the exhibit. The exhibition, housed in the campus's largest art gallery in the Landini Center for Performing and Fine Arts, will be open until Nov. 18, kicking off with a reception 4-6 p.m. Nov. 3. The public is welcome to attend. For more information, call 812-237-3720. The exhibition, housed in the campus's largest art gallery in the Landini Center for Performing and Fine Arts, will be open until Nov. 18, kicking off with a reception 4-6 p.m. Nov. 3.